For anyone who makes soap, this whole entry will be fairly redundant. However, I’ve been getting a lot of questions lately from people who say they are scared of lye, and want to know how to make soap without lye. They’re either afraid of working with it, or they think it will make a bar of soap that will be highly irritating/dangerous. I’m going to address both of these concerns, and hopefully I’ll be able to talk you into making your very own soap—with lye! First off, I want to give you a brief overview on exactly what soap is. Soap is an alkali (like sodium hydroxide or potassium hydroxide) combined with fats. Together they go through a reaction called “saponification”, and in the end you are left with soap. So, by the very definition of “soap”, you cannot make soap without lye. That is like trying to make a baking soda and vinegar volcano without the vinegar. No vinegar and you’ve just got a pile of baking soda. No lye, and you’ve just got a bucket of fat. Now, every fat requires a certain amount of lye to turn it into soap. 500g of olive oil requires 67.7g of lye, whereas 500g of lard requires 70.5g of lye. When you are making soap the idea is to always use more fat than the lye can convert into soap. This prevents the presence of any excess lye in the finished bar, which means it will be a nice, gentle bar, and will not be irritating. A 5% superfat is fairly standard (you don’t want to go much higher than 10% or the bar will be very soft and can go rancid). With a 5% superfat, you would only use 64.3g of lye for 500g of olive oil instead of 67.7g. That means 5% of that 500g of olive oil will not be turned into soap, giving you a bar of soap that is 475g of saponified olive oil with 25g of leftover olive oil mixed into the bar to moisturize your skin and work as a buffer against any errors in measuring the lye. So, superfatting protects against excess lye in the soap being irritating. It is worth noting that every bar of proper soap you’ve ever used in your life has been made with lye, so if those were fine, yours will be as well. If you’ve never worked with lye, but you are afraid of working with it, I don’t blame you. You’ve probably done a bunch of research, just like I did, and it’s all convinced you that if you get the tiniest speck of lye on you it will immediately burn a hole in your arm the size of a softball. That is not true at all, so relax. Yes, lye is a caustic substance and you definitely shouldn’t drink it or take a bath in it. But, really, it’s not any worse than bleach or ammonia. Respect it and all will be well. Wear gloves and clothes you don’t care about, wear goggles, lay newspapers down on your work station, and be careful. Work slowly, keep your temperatures low, and don’t leave your lye water unattended for pets or children to get into. Really, that’s it. You’ll be fine. If you get a wee bit of lye water or raw soap splashed on you, it’s not a big deal at all—just wash it off with running water for a few minutes. You probably won’t even notice for a minute or two, at which point it’ll start to itch a little bit. Seriously, that’s it—just a bit of itching. No burning, no horrible scarring, no big deal. Using vinegar is specifically not recommended as it will make it worse. 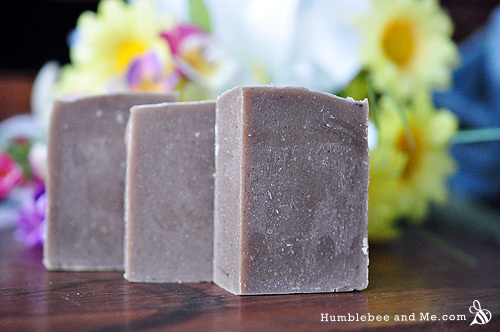 Some people think that using a melt & pour soap base is a good way to get around using lye. While this is true, 1) the M&P soap was made with lye by somebody else, so it was still involved in the process, and 2) M&P bases often have non-soap ingredients in them, like sodium lauryl sulfate. You also don’t have any control over the base ingredients in your soap, so if you want to do something like avoid palm oil or make soap using a locally brewed beer, you can’t. 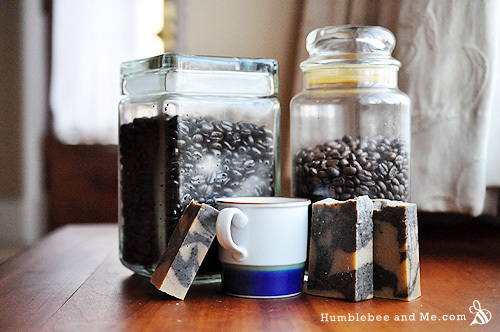 Making your own soap is the best way to go! The only way you can get a “soap” without using lye is to add a surfactant to water. Surfactants create lather, and are pretty cool—you can add them to pretty much anything to create a lathery version of it (bath bombs, bath salts, clay scrubs, etc.). There are tons of different surfactants, and you can get gentle and natural ones. If you are really concerned about lye, surfactants may be a good alternative for you—but you still aren’t making soap! A lathering bar made from surfactants is called a “syndet bar”—”synthetic detergent bar”. They are, by definition, not soap—there’s no base, and no saponified fats. Check out all my other cool soap recipes! Thank you so much for this great article. 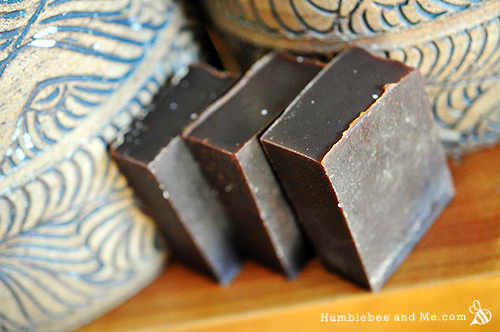 I am getting ready to make my very first batch of soap, so this article greatly eased any apprehension I had about the “lye thing”. I’m glad to hear it, Michele 🙂 If I can spare anyone the anxiety I had when making my first batch of soap, then my job is done. Hi what causing me to iche housing soapy goat undderly pure goat milk soap lavvender? Hey Alesia! It sounds like you’re asking about a specific product that you purchase? If it’s making you itchy I would advise that you stop using it and investigate if you have any potential allergies or sensitivities to any of the ingredients, but you should really talk with your physician about that—I am in no way qualified to give you medical advice! You’re very welcome! Glad to help 🙂 And have fun! I love this article. I was a bit scared before I made my first batch of lye soap. It is nothing near as scary now that I’ve done it. I can laugh t myself now that I know that if you take precautions, you have nothing to worry about. Just pay attention, and don’t get careless. I love my soap and do ‘t use anything else. Way up above you said, …It’s funny, isn’t it, how scared you are the first time, and then how it is no big deal after a few batches. I guess nobody wants to be the person that encourages somebody to be careless, but I feel like a lot of sources go totally overboard with the lye terror . I use soapnuts Iget online. A handful in a couple of cups of water, simmer for about 15 min. You get a liquid soap. I heard you can just drop a few in the washer and do laundry but I have not tried that yet. Thanks, Tania! The best natural surfactant I’ve seen is coco glucoside, though I’ve never tried it. You might like to give it a go. Just remember, if you aren’t using lye, it isn’t technically soap, it’s detergent 😛 May I ask why you are so determined to avoid lye? I am still looking for an affordable Canadian source for soapnuts, I would LOVE to play with them! Did you ever find an inexpensive source for soap nuts? Organic Matters out of Nelson, BC, is a fantastic online option! Soap nuts are what I use for our laundry every day. They are not harmful to the environment or our septic tank and leave our clothes with a fresh scent. I do 3 to 4 loads a day (we have 5 kids and live on a small farm). I also have no allergic reaction to this natural product that grows on trees. How many uses do you generally get out of a soap nut, Juli? It’s true soap cannot be made without lye! I have been making my own soap for a year now. The first time I mixed the lye/water solution I was a bit freaked out. The glass that contained the water and lye heated up and it smelled a bit strong…but once I started adding this mixture to the fats and saw the chemical process of soap making happen before my eyes, I was hooked! I know the feeling of the first-batch soaping jitters! I was so terrified I was going to lose a limb or destroy my sense of smell or something, lol 😛 And to think I’m too lazy to put on goggles most of the time now, haha. Where do you buy lye, and what should I look for when purchasing it? I get mine from Home Hardwear these days, though you can get it online from Canwax or Saffire Blue. Make sure it is pure sodium hydroxide (or potassium hydroxide for liquid soap), and you should be good. Some drain cleaners, like Draino, have some lye in them, but they also have metal shards and other icky stuff you wouldn’t want in a bar of soap! Also, be prepared to show ID and sign a release of some kind, depending on where you get it, as it is a relatively dangerous chemical. In the article, it’s mentioned that using lye is no different from using bleach or ammonia. Bleach and ammonia are not used to wash one’s body. That’s the difference. Yes, I use bleach and ammonia for household cleaning, being careful not to breathe fumes or let it touch my bare skin. I’d be afraid to wash my body with something I had to be so careful with in its production. Vivian—I would never, ever use raw lye to wash my body either! That is a recipe for some serious pain and likely a trip to the hospital as well. When I am working with raw, straight lye, I also take care not to breathe the fumes or let it touch my bare skin. However, when you use lye to make soap, it ceases to be lye and becomes soap (keep in mind every proper bar of soap you have ever used in your life has been made using lye, and you are still alive and well, yes?). Think about it this way—do you ever feed your family chlorine? Of course not! It is seriously poisonous (it was the first poisonous gas used in WW1). But, you do feed them salt—sodium chloride, or NaCl. When chlorine is combined with sodium, it ceases to be dangerous, and becomes totally innocuous. This is the same with combining lye and fat! Once you’ve combined the lye with the proper amount of fat, it isn’t dangerous in the slightest. Hope that helps 🙂 Don’t be afraid to make your own homemade soap using lye, it’s really fun, and if you can handle bleach or ammonia safely, and you can use a scale and follow directions, you won’t have any troubles. Actually you do feed your family chlorine & ammonia when you drink tap water as they are ingredients added to municipal water supplies to make it safe to drink. Chlorine is also added to antibacterial soaps & mouthwashes, amongst other products used directly on skin for it’s antimicrobial properties. Great points! I’d forgotten chlorine is a common water additive, but it definitely makes sense (and I’ve definitely swallowed enough pool water in my life…). It’s good to realize that there’s a lot of chemicals in many aspects of our lives, and they’re not always lethal (usually not, I suppose, considering we’re both still alive). You made excellent points here. Its obviously you have educated yourself on this matter with the lye. As for me i use sea salt, or kosher hope thats a better alternative :-0 . But I and wanting to make my own batches the non lye way possible with soap nut, Due to my son eczema skin condition. I figured without the lye & combined natural oils it would have a supper natural benefit. as i would to create something with a great effect that people can remember to use daily. I hope it works. I’ve got to say, your comment really confuses me. I can promise you that salt will definitely not be a lye alternative of any kind. If it was, you’d end up with soap whenever water, salt, and fat mingled… which would mean cake and spaghetti sauce would be sudsy. If you insist on trying this, start small. I just wanted to add that lye sodium hydroxide is made from salt its a electrical process at youtube…. What do you wash your body with? You do wash, right? Ivory, Irish Springs?? All have lye. ALL soaps have lye. Once the chemical reaction happens…..its no longer lye. Its neutralized. Some of the foods and condiments we eat have dangerous ingredients in them when by themselves, but once combined are fine cuz their chemical makeup changes. Do some basic chemistry research. Might ease your concerns. Again….I’m curious what you wash with. Seriously, not being stupid. Well said! My point precisely. I’ve been allergic to lye all my life and never have been able to use bar soap without my skin feeling like it’s going to melt. So this article does not take into account the millions of people who cannot use lye. I can’t handle bleach, ammonia, chlorine or any other caustic chemical b/c they are deadly to me and many others. Just want to point this out as you make it sound like we are whiners when this is a life and death issue. Hey Angel—It sounds like you have suuuuuper sensitive skin 🙁 Bummer. Perhaps even some respiratory sensitivities, given that you’re saying this is a life & death thing for you? There is, however, something inconsistent about your story. You’re saying you’re allergic to lye, and you know this because you can’t use soap. That is sort of like saying you know you’re allergic to chocolate because you can’t eat scrambled eggs. As I explain in this article, there is no lye in a finished bar of soap unless somebody has done a seriously terrible job making that bar of soap (and if that was the case anybody who used the soap would find it to be painful and irritating). It is more likely that you are sensitive to something like sodium lauryl sulfate, which is a known irritant to many, and a common ingredient in detergents and shampoos. Either that, or you have used nothing but absolutely horridly made homemade soap for your entire life. As I noted in this article, many store bought “soaps” don’t even use lye in their production—they just add SLS and other surfactants to water. So, if you’re sensitive to those, you can’t fault lye for that at all because lye wasn’t involved at any point in the process. Of course I’m not your doctor and I don’t know for sure, but it seems unlikely that you’re actually allergic to lye. How would you ever know? If you were ever exposed to straight up lye, of course you’d have a “reaction”—it’s a seriously caustic chemical! Every human in the world would have a reaction to it, but most of them can use soap without any ill effect. Since “allergic reactions occur when a person’s immune system reacts to normally harmless substances in the environment”, lye doesn’t really qualify since it’s not a “normally harmless substance”. Far from it. Some people’s skin is more sensitive to a higher pH. Especially if your skin tends to be dry, adding an alkaline ingredient can definitely cause redness, itchiness, even a rash. Lye containing products may cause dryness but never an allergic reaction. At least none that I’ve seen. I work with people’s skin all day. Nowhere did I see the author even insinuate that anyone was a whiner! Thanks, Lorena—I certainly wasn’t trying to insinuate anything of the sort! I’m curious to know what you bath in as chlorine & ammonia are both added to municiple water supplies to make it safe. Also the chemical formula for bleach is NaClO, the Cl being chlorine, Na is salt & O is oxygen, do you have a problem with salt or oxygen? Basically bleach IS chlorine. If someone has told you are allergic to bleach & chlorine you may want to find a more qualified/knowledgeable health practioner as I am sure you are not allergic to oxygen, maybe salt. But then your body requires salt to perform it’s functions to keep you alive. I actually am extra sensitive to chlorine after working with chlorinated products for may years. Lye is a chemical compound and when mixed with other chemical compounds will produce new chemical compounds ei lye+fat=soap. Two things that manufacturers add to products are preservatives & dyes. These preservatives & dyes are often the culprit to many allergies & reactions such as sensitivities. BTW, caustic ingredients at too high of a level, which varies for each individual, are deadly to EVERYBODY not just the certain few. This is why they are labled as caustic. I have seen videos where the use glycerin, is that the same as lye? What’s the difference if there are not. Glycerin is a pretty harmless, viscous liquid. Lye is a seriously caustic chemical. You can put glycerin in lip gloss for a nice, shiny effect. Do this with lye and you will likely peel off several layers of your lips (or poison yourself). And so on and so forth… so yeah. Not the same thing. You cannot, absolutely, 100%, make soap using glycerin instead of lye. That is sort of like trying to make cake with a boulder instead of flour… they are so, so different. I think, if you are making melt and pour soap, you can add additional glycerin, so maybe that’s what was going on in the video? I’ve never made melt and pour soap before so I’m not sure, but that would be the only possible thing that makes sense to me. There is a video online that claims you can make soap without Lye, it is using a purchased glycerin soap base, which was made with lye. Do you have a link? I’m interested in watching it. Hello Marie and thanks for the terrific piece on soap. You know, I brought it up searching google for “How to make soap without lye.” 😉 How thankful I was to have brought up your article first to set my mind at ease. Now brings me to my question of you, please? I want to make some soap for my children (young adults) specifically using coconut oil as the base and adding some essential oils, some to serve specific purpose and perhaps one for scent (if the coconut oil scent is insufficient), (and of course, the lye). Can you advise on the ratios for the correct amount of lye for coconut oil as well as maximum drops of essential oils for whatever amount you would recommend making for a first-timer? (I could just double-up for future batches, if need be). Are any lye brands/forms better than others? Will it matter whether the coconut oil is unrefined/cold processed, etc.? Which scent(s) would you recommend (from essential oils)? Any I should stay away from? Ok. So, for your your questions. I’d start off by reading my article on basic soap making and my article on my all-in-one soap to get a general idea of how soap making goes, and what my fave soap recipe is. You will need a lye calculator to determine the amount of lye required for any soap recipe. I never, ever take somebody’s word on the amount of lye to use in soap recipe since it is so easy to re-calculate, and the consequences of getting it wrong can mean a ruined batch of soap (which is always sad, especially when you could have prevented it!). I’ve never made soap using extra virgin coconut oil before, so I can’t say for sure that the scent won’t come through, but I can say I’ve never noticed the scent of an oil come through in a bar of soap. Also, by the time it’s saponified it’s mostly too late to go back and add some essential oils (you can drop some on the outside of the bar when its still soft and hope it absorbs before it evaporates, but that’s it). I always use the cheapest coconut oil I can get for soap making, and save my expensive organic extra virgin stuff for applications where I’ll notice and appreciate the scent. As for using drops for measuring your essential oils for soap making: don’t. Drops are fine for lots of things, like a small batch of lotion or lip balm, but drops aren’t a real unit of measurement. They’re like a “pinch” or a “dash”. Since you need so little EO for lip balm, saying 10 drops is fine since the room for variation is still very small. Think of adding salt to a cake recipe—you can measure that in a “pinch” or two and it’s fine. But you’d never measure out all the flour for a cake this way! Since you generally need at least 30g of essential oil for a recipe of soap (the guideline is 30g EO per 500g oils), you really must use a scale. I think 30g is approximately 600 drops (though, of course, huge variation here), and counting out 600 drops of anything is not my idea of a good time 😛 You’ll need the scale for all your other soap making (precision by weight is SUPER important when you’re making soap, don’t even bother if you aren’t going to weigh things out as it’s just too easy to bung up an entire batch and have to bin it). For lye, it just needs to be pure lye. As long as it says “pure sodium hydroxide”, or something to that effect on the label, you should be fine. Take care not to accidentally get a drain cleaner that contains lye, as they often have little shards of metal and other narsty stuff you won’t want in your soap hidden in them. I have yet to find an essential oil you should stay away from in a soap for any reason other than I didn’t like the way it smelled 😛 I’ve never had an EO cause a batch to seize, either, which is good. My soaps usually contain lots of citrus and spice essential oils, and that’s mostly because they’re fairly inexpensive. I always buy the 100mL bottle when I know I’ll be using it in soap, and when that 100mL bottle is $1600+ (rose essential oil), well… yeah. No rose soap for me. Lemon, lavender, cinnamon, etc. are generally in the $5–$15/100mL range, and that’s far more reasonable. You answered every single question and doubt I had about soaps. In Esthetics school, they told us to stay away from lye containing soaps because it can imbalance your skin’s pH levels. But it made me wonder how that was possible. I’m glad I found your site. In school, they made it sound as if lye was not essential in soap making. Now, what do you think of soap nuts? I would love to see an article about this on here. It seems to be the new craze for soap making. Oh no! What a bummer! I am so surprised to hear that lye is illegal where you live. I know it can be hard to find (often requiring you to sign a waiver) because it is an ingredient in meth, but I haven’t heard of it being illegal. How sad 🙁 I have never tried making my own lye, but I know it can be done using ashes and rain water. You should definitely look into that, even if just to know how in case of apocolypse 😉 Or perhaps take a soap making vacation to North America? Ha. That would sure look funny on a visa application! Hahahaha, absolutely, that would make for an odd request for a visa 🙂 yeah, I live in Singapore and you can´t get lye here. I imagine you need some sort of chemical license. I have even tried to get M&P even if it’s just for the fun of creating my own soaps, but I’ve found it difficult to even get that 🙁 I’ll keep trying though. And I’ve also eyed a recipe on youtube to actually create your own lye but I don’t think I dare… Thanks for your blog it’s awesome! I still kind of can’t believe you can’t buy lye in Singapore. I mean, obviously I believe you when you say that, but it just seems silly. Like not being able to collect water in rain barrels or something. It’s just silly! I’m especially surprised to hear that M&P bases are hard to find, since those are about as harmless as a bar of soap… weird! Silly government restrictions. Maybe for now you can experiment with DIY lotions and what not instead? She is right. I live in Singapore, and you can’t purchase lye or borax. I also can’t find citric acid or soap nuts (both alternatives for laundry detergent ingredients). Major bummer for us DIYers. (And the large bottles of Dr. Bronner’s liquid castile soap have limited availability and are S$25-30 each, which is US$20-24.) So I’m constantly searching online for alternatives, but to no avail. So I buy Dr. Bronners, and have to grin and bear it. And you are right! I just thought of making up LOTS of soap the next time I visit family in the States. So for those reading, if you’re a DIYer, don’t move to Singapore. You’ll be so bored. If it makes you feel any better, though, it sounds like Dr. Bronner’s is about the same price if we’re talking about the same size of bottle/jug 🙁 It sounds like you need to go on an international soaping retreat! wanted to reply to robin’s comment but i cant find the reply button below his comment. want to say that i live in singapore and you can find citric acid anywhere. they’re available at the baking sections of supermarkets in sachets. its used for making konnyaku jellies. you can also find it at baking supplies stores like phoon huat. Hi Kaylee! From readers and research, it looks like lye is illegal in Singapore. Please don’t use drain cleaner, that usually has other gunk like shards of metal in it! Even HDB will not give someone an answer until they have the person’s details. Makes me feel like I’m playing the mafia game! Anyway, I was able to make soap when I visited my family in the States. I actually just posted a question about that below. Hi Marie, might you be able to respond to my earlier post? It takes so long for the soap to cure, I was really hoping to get started very soon but need your help, please. Thank you! Hi Kay—Sorry for the delay there. I know it can be easy to assume that bloggers don’t have a lot of other demands on their time when they post a lot, but sadly, I do 🙁 I’d love to spend all my days at home making soap, writing, and replying to comments and e-mails, but sadly, I am left squeezing that in around a more than full time job, friends, family, sleeping, eating, yoga classes, vacuuming, and life in general. For instance, I am writing this as I brush my teeth before rushing off to work. And hey, three weeks isn’t really that long for soap to cure, and 100% coconut oil soap (apparently) cures much faster. Hello there – greetings all the way from SA! 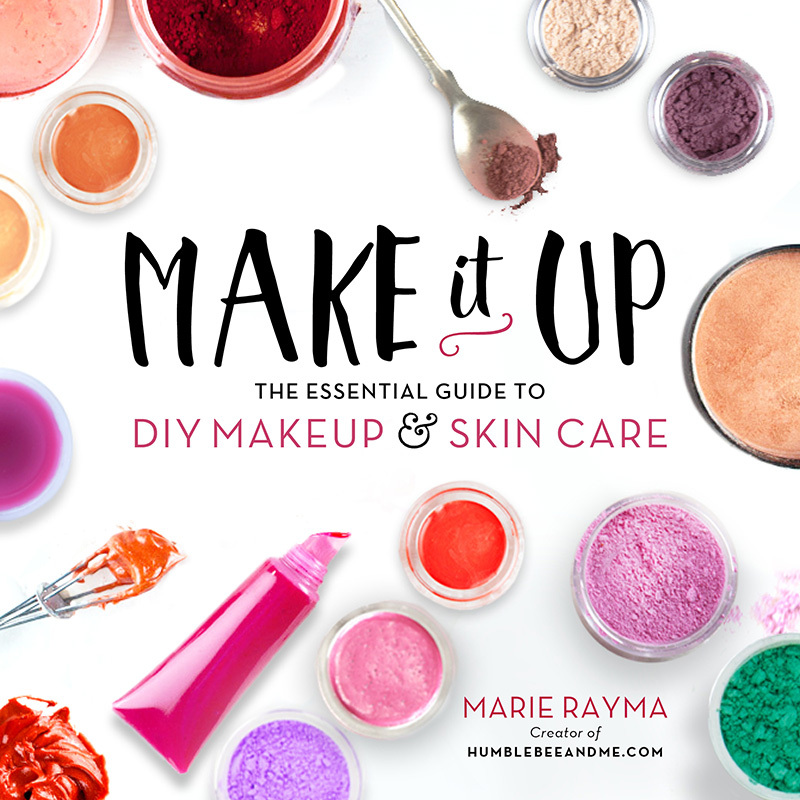 I LOVE your blog, especially the diy beauty recipes, keep up the great work! I worked out the quantities of the added lye and water on Soapcalc, and used my own blend of essential oils, to the right amount too… Not sure why it came out smelling so artificial… Does the smell improve while it cures for 3weeks? Any advise would be awesome, thanks! I used 100g Castor Oil, 350g Olive oil, 250g Coconut oil, 150g Beef tallow and 150g Mafura butter (an SA indigenous butter, used in the place of shea butter), 380g distilled water, 140g Sodium Hydroxide flakes, 120g essential oil blend of cinnamon, ylang-ylang and sweet orange. Hmm. Well, from what I can tell, you used the proper amount of lye (unless Mafura butter has a drastically different SAP value than shea butter—I used shea butter in the calculations because I didn’t have the SAP value for Mafura). It does sound like you used waaaaay too much in the way of essential oils, though. A general rule of thumb is 30g essential oils per 500g soaping oils, so you could have cut back on the EOs by half. With that said, I’m very surprised you can smell anything other than the scent blend, especially since both cinnamon and ylang-ylang are suuuuper strong scents. You might actually be smelling the tallow, which is non an uncommon complaint from fresh batches of soap containing lard or tallow. No worries, though—that dissipates quickly as the soap ages. Do you have any recipes?? I really found your article extremely helpful. I used to use the m&p soap base to make my soaps. I thought that making it from scratch would be to difficult for me and I was afraid of making a bad soap. But reading your article has eased my fears and I am strongly considering making soap from scratch. It seems like it would make for a better soap and I like that I can control what is in the soap. I have to ask is lye an expensive Ingredient? Also is lard and olive oil the only fats that can be used? Hi Ebony 🙂 I’m thrilled I’ve helped ease your mind about lye and soapmaking! Lye is pretty cheap—it’s about $10/kg here, more or less. I buy mine 3kg at a time from Home Hardware… I think that’s about $25? It’s been a while. I haven’t had to buy more lye in a year or so, which gives you an idea of how much soap 3kg of lye will make! Loved the pictures of the soaps. 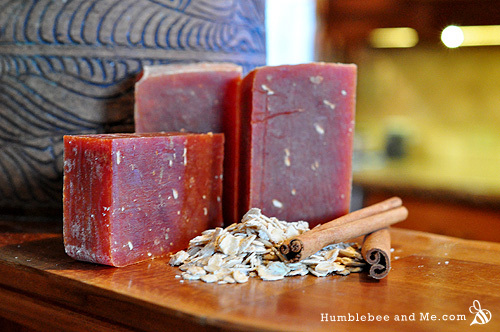 Many times I’ve thought of making soap, I know that my grandmother made all her own soaps. I think that your well written article and beautiful pictures have made me realize that I need to do this soon. Thanks so much, Gable—I’m thrilled to hear I’m helping tip you over to the soaping side! Let me know when you get started, I’d love to see what you make! There certainly is such thing as making soap without lye. Lye is sodium hydroxide, and potassium hydroxides and a few other hydroxides can be used in its place. Also, what makes soap what it is, is the fact that one side of the molecule is hydrophilic, and the other is hydrophobic, giving the chemical the ability to interact with both polar and non polar molecules and helping them dissolve into the solution. It also acts as a foaming agent which physically lifts dirt from whatever surface you are cleaning. This is actually the main way soap cleans, unless you are referring to an anti-microbial soap. There are ways to accomplish this without using any lye whatsoever. I have personally made soap out of Carrageenan & Walnut shells, and it works quite well. Carrageenan is a foaming agent and detergent that is extracted from algae, kelp, and mosses and Walnut shells contain a compound that is very similar to a classic “soap molecule”. Native Americans actually used this as soap at one point in time when North America was still flourishing with different species of Walnut, and it was recently brought back to public light by a company on the popular show “sharks tank”. Its great that you’re teaching people something, but don’t tell them your way, or the popular way is the absolute only way, because it very rarely is. James—It appears you and I are defining “soap” differently. You’ll see quite clearly in this article I cite the definition as “Soap is an alkali (like sodium hydroxide or potassium hydroxide) combined with fats”. By that definition you indeed cannot have soap without a lye of some kind as it is one half of a two part equation. You are defining it by the way in which it cleans, but (as you note), there are many, many ways to achieve what is effectively an emulsion cleaner. Everything from soap nuts to polusorbate-20 to sodium lauryl sulfate to your carrageenan & walnut mixture can create a (potentially lathering) emulsifier (or a surfactant) that will happily carry away oils and clean—but by the “fat + alkali” definition, these are not true soaps, but detergents. They act like soap, but are not technically true soap. You yourself call carrageenan a detergent, not a soap. I do clearly discuss the availability and use of other surfactants to create a detergent that acts similarly to soap (did you actually read this article?). Admittedly I did leave out natural options. The purpose of this article, as noted in the opening paragraph, is to soothe worries of a finished lye soap being irritating, or dangerous. It is not meant to be a full overview of every surfactant in the world—simply an explanation and a jumping off point for those who are afraid to use lye. Greetings what’s your email? I wanted to see how you made your soap without Lye. Thank you so much! THANK YOU! I’ve been making soap for a long time, and I happen to have a background in chemistry, so working with lye isn’t particularly intimidating for me. But, I’ve been having this EXACT conversation with a commercial insurance underwriter for DAYS, and it’s so interesting to try to explain the idea of consumed reagents, and two substances combining to become something else. I finally had to explain the complete lack of danger posed by properly made soap, despite the inclusion (of evil! caustic!! explosive!!!) lye as: saying soap is dangerous because of lye is like saying that a sandwich is dangerous because the knife used to slice the tomatoes was sharp. Ha—you’re welcome! Over a year of “but how can I make this without lye?” questions drove me to write it all out here, and now it’s one of my more popular posts. Explaining it all (especially the whole “the lye does not exist in the final product!” bit) does make one lament for the state of public knowledge of science, but it’s always good to know that people are researching things and trying to be safe. I LOVE your sandwich analogy, though! I will probably use it at some point 😉 Brilliant. What about glycerin soap? I don’t really like cold pressed soap anymore because of the film it leaves behind. Once I started using glycerin soap, I got hooked on the “film-less” effect in the shower — and my skin. It rinses away cleanly and I never feel dry and the tub and tiles are still “glossy-ish” when I’m finished. It does go faster than traditional soap, but I’ve been willing to make the trade off. The information here about lye is good, but can I get around the filmy-ness of traditional soap? Hi Norma! I had to go do a bit of research to get an answer for you. Glycerin soap has always confused me as you cannot make soap out of just glycerin. Glycerin is mostly water, after all—it isn’t a fat. And you can’t saponify something that’s not a fat. The other thing that confused me is I was pretty sure that all homemade soaps contain glycerin. I confirmed that this is true. About.com outlines the soap reaction as “oils + lye (with some water) = soap + glycerin”. So… yeah. Confusing! In the end, I discovered that glycerin soap falls into two categories. One is natural glycerin soap, which is more accurately called “transparent” soap as the presence of glycerin in a homemade bar of soap is nothing special. Apparently the transparency is achieved by making the bar as a hot process bar and “sugar and alcohol are added as “solvents” to keep the soap crystals from becoming opaque. Without this crystallization, the soap remains clear. You could take any of your soap recipes and adjust the process to make them transparent” (from About.com). So, natural, homemade “glycerin”/transparent soap really isn’t much different at all than straight up homemade cold process soap since it’s made with almost identical ingredients, and the process is very similar. It’s mostly an aesthetic difference. I also read that these bars cannot be melted down, meaning that all melt and pour clear/glycerin bases are not going to be homemade/natural. After learning that I thought I best go look up the ingredients in a standard clear/glycerin melt and pour base to see the differences. And, I am sorry to say, they are stark and rather scary. I looked at this one from NDA. It is basically a bar version of the fake detergents I talk about in this article. It’s mostly water and glycerin, loaded with surfactants for lather (Sodium Stearate, Sodium Laurate, Sodium Laureth Sulfate), thickened and solidified with some highly refined fat-ish ingredients (stearic acid, lauric acid), held together with an emulsifier (Tetrasodium Etidronate), and then mixed up with some random ingredients like sorbitol (which is a sugar alcohol usually used as a sweetener in candies for diabetics), salt, and Pentasodium Pentetate (a chelating ingredient). YIKES. That is some serious chemical wizardry, and definitely not something I’ll be trying at home. Phew. So, all that said, the main complaint about the filmyness of traditional soap comes from using hard water (or, ironically enough, the never-quite-rinsed-clean feel of very soft water). The hard water can be an actual film, while the soft water thing is just the sensation of slipperiness without soap. How’s your tap water? Wow….made me rethink my M&P soaps!!! Even if they are supposedly SFIC…. but your page is an inspiration for me,so thank you…sometimes i think your day must have at least 36 houres to get all that done,i really admire you. Hi Caro! Thank you so much for your kind words 🙂 I hope someday you will be able to get the ingredients to do some of your own DIY products—unfortunately I do not know of any ingredient resources in Germany. Thanks so much for reading! Marie, is using a general extract, like the ones in store advisable or not?! i have a feeling I just ruined my first batch of soap using that crap from store! 🙂 I’m so angry. I cut out my soaps today to let them sit and dry and they smell like alcohol… I KNEW IT! I knew I shouldn’t have used it. Sadly no—they’re not even close to essential oils. As you noted, they’re alcohol based, and formulated for flavour, not scent. I’m not sure if they’ll effect the safety of your soap, but I would definitely recommend doing a pH check to be sure. You only want to scent soaps with pure essential oils or cold process soap approved fragrance oils (basically, read the reviews and see if anybody says anything about the FO causing their batch to seize). I always recommend essential oils, but there are some fragrances that are simply too expensive (rose!) or non existent in the EO world (coconut), so sometimes fragrance oils are a “necessary evil”. Did you soap turn out well otherwise? You will probably find that any fragrance from the oil-based extract vanishes as the alcohol will evaporate off quite quickly. I’m still not sure if the soap turned out good or not. I’ll find out in 3 weeks. All I know is that I can’t stand that smell of alcohol and the soap is little soft. 🙁 This was my first time making it and I’ll definitely check ph just to make sure. My boyfriend was the one who convinced me to use the extract 🙂 I knew I shouldn’t have done it. Oh well… You learn on your mistakes, I guess. So many people seem ‘determined’ not to understand the difference between detergents, soaps, and different types of lye used in production of same. And that lye is no longer lye after it has been transmuted by fats and oils. (I love the alchemical sound of ‘transmuted’, don’t you?) I’ve often felt as if I were the only person who attended science class that day. Basic high school, nothing fancy. As for lye safety, I have never gone with the cumbersome gloves and all, as I find the reduced tactile sensation an absolute winner to cause a spill… I treat it exactly the same way I treat a pot full of boiling water, or a pot full of hot fat. I don’t wear gloves for those, either. Lye is not the reverse of ‘Alien’ blood. Your arm will not dissolve in seconds. No ‘Predators’ jump out of the pot either. Having said that, don’t throw a potful in your face…or of boiling fat or water, either! I’ve had much worse burns from spilt fat (cooking), than I ever had from lye. I am NOT saying anyone else should do as I do, though, I have lots of experience. And I do use glasses and have other safety protocols in place. Your eyes are particularly vulnerable to this stuff. I find there is a willingness, nay, a compulsion to deliberately misunderstand lye and it’s uses, that just ‘does the rounds’ every so often. My reaction to this is ”Goody goody, more for me”. As for us here in OZ, my friends and family are more than willing to keep my soaping addiction alive, as I make custom bars, for everyone’s allergies and preferences. I’ve yet to drop dead from using it, and I reckon everyone at Palmolive is alive and well, also. Thanks, Jan. Yes, this is definitely a conversational topic that just won’t die 😛 Of course I am glad that people are educating themselves about the dangerous chemicals in their lives, but too often there is no distinction made between dangerous-causes-cancer-with-constant-use (asbestos…) and danger-’cause-the-pH-is-low/high. I’m just happy to be able to help clear things up, though you are right, the missing piece is usually the “transmuted” bit of the reaction. Your analogy of a pot of boiling water or hot fat is a great one, and I, too, have given myself far worse injuries with hot water and fat than lye (including a second degree burn on my midsection from a spilled cup of just-poured tea—YIPES!). I do wish people wouldn’t make illegal drugs with lye, though—that does make it darn hard to get on occasion :/ Spoil-sports! Enjoy that beautiful Aussie sun 🙂 I’m missing it like crazy these days. Lol….I wonder how many posters smoke, drink or ingest pharmas? The world is a marvelous place! I am a classically trained analytical chemist, and my mind boggles at the misinformation supplied by the ignorant. Marie, you are a beautiful find! I am estatic at having stumbled into your nexus. You make this “mystical witchery” and “alchemy” so understandable to the otherwise uninformed! I too now am ready to dive in. All the extreme precautions about working with lye had me scared too….not for myself but for kids and pets in the household. the post that mentions working with hot grease or boiling water made that one go away now too. Why thank you, how thoughtful! I would like to ask, how did people make lye back in the day? Do the Amish make their own lye? It looks difficult to make if the only way is by adding electricity to water and salt so I was wondering if you knew the answer to this. Hi Maria! People used to make lye from ashes. Cool, eh? You can still do it that way if you find yourself in a post-apocalyptic situation and find yourself in need of soap or a drain cleaner 😛 Here’s an overview on how to do it yourself, if you’re feeling so inclined. Would like to assert that there is no potassium hydroxide in wood ash! It’s potassium carbonate!! Thanks for chiming in, Andy. As you did not provide any sources I’ve been off researching, and it seems like potassium hydroxide from wood ash is a pretty common misconception. “Lye” can be taken to mean “a strong alkali solution” though, and given the pH of potassium carbonate is quite high, saying you can make lye from wood ash is not blatantly incorrect. It is easy to see where the confusion comes from when “lye” can be so broadly defined. I managed to dig up this forum post outlining an interesting experiment trying to make soap from potassium carbonate. It sounds like it is not terribly effective, and I can see why we moved away from it. I also found a few sources recommending using a small amount of potassium carbonate paired with potassium hydroxide in order to create a softer liquid soap that is easier to stir. I meant to say that in the olden days, people made soap with potash, which is potassium carbonate. Potassium hydroxide is also known as “caustic potash”. So, you can make soap without either of the hydroxides, and potash is not really dangerous. The definition of soap is “a substance used with water for washing and cleaning, made of a compound of natural oils or fats with sodium hydroxide or another strong alkali”, and it does look like potassium carbonate has a pretty high pH, so I suppose this could work, but it does sound like potassium carbonate has the potential to be just as irritating as the hydroxides due to its pH, depending on the concentration of the solution. Glad to have helped, Dr. Brievil 😉 I’d recommend looking at yucca root and soapnuts for your lathering body cleanser, but truly, lye isn’t that scary and there’s just so much you can do with real soap—I’ve just learned how to make liquid soap and I’m just thrilled with it (and myself, haha). My recipe & easier (better, dare I say? HA!) method will be out soon 🙂 You do still need lye, though (just potassium hydroxide instead of sodium hydroxide). Thanks for the tremendous recipes and information. I’m venturing into soap and lotion making, and you have the best, most comprehensive resources I’ve found. – You mention using the cheapest coconut oil for soap, but do you recommend the one that is liquid or semisolid at room temp? Is the liquid version processed? Does it matter? – For lotion, should I buy organic and cosmetic grade beeswax (I found it on Amazon for about $9 for 150g), or natural beeswax that has just been filtered? I live in Okotoks and can buy beautiful raw wax from Chinook Honey (much cheaper) but I do wonder if the raw form might have impurities that would cause lotion to go rancid or otherwise spoil quickly. Hi Leanna! Welcome to the soap & lotion world 🙂 For coconut oil, make sure you’re not using fractionated coconut oil, which is liquid below 24°C. All coconut oil will be liquid in temperatures above 24°C. Fractionated coconut oil has been processed and doesn’t perform the same way in soap as it’s un-fractionated self. 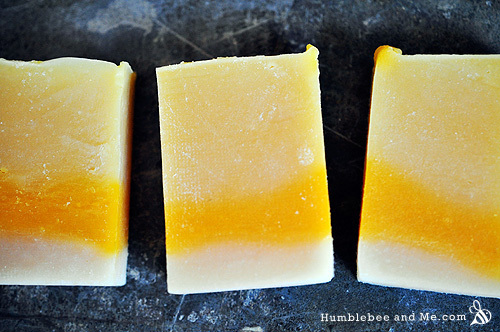 I always just buy natural beeswax from local apiaries, and I love it. It smells of honey and is nice and smooth (no chunky bits of bee debris), and it’s wonderful for everything and anything I need it for. Thanks again! I didn’t think the liquid oil looked right. I have to thank you for this greaaaat post! 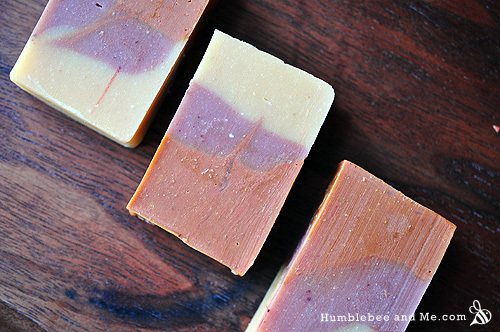 Ever since I started researching about natural body care, I was so afraid of making soap… because of the lye. And those weird “lye calculators” didn’t make it any easier. But now, I’ve understand many things I couldn’t before, and I think now I’m all ready to make my first batch! Thanks a lot! You’re very welcome, Kaia 🙂 I’m glad you found it! Good luck with your first batch 🙂 I’ve got instructions here, and my all-in-one soap is super easy for a starter batch as it traces quite quickly, even without an immersion blender. Yes – i am scared of Lye as well – heard all sorts of scary stories. your article has given me some confidence…. i am looking forward to getting stuff (material and utensils) together to get started. I like your attitude, thank you for your realistic ideas about lye. Yes it was scary, but now I feel I can try too. But am currently in India, where pure lye is not available (as of now I am not aware of). 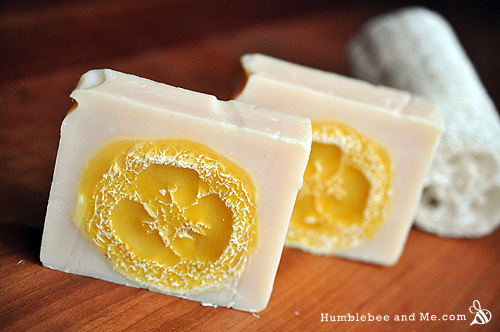 Itching to try making soap, so much that I feel like quitting my job and starting a homemade soap making business. Do wear safety googles please every-time. Thanks for reading, Amu 🙂 As with all things that have a potential to be dangerous (like driving, for example), lye deserves respect, but not terror! But aren’t there herbs that create a lather like soapwort? Couldn’t you substitute lye for that? 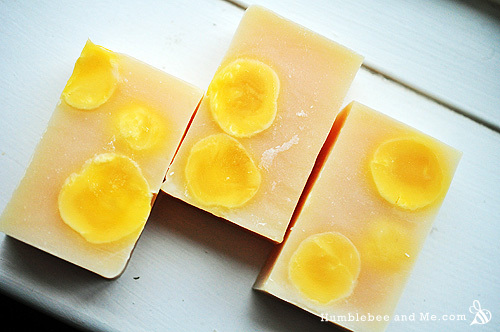 If so, how would one go about doing that because I haven’t found any information about making solid soaps with soapwort. Do you know if it’s even possible, or is it only good to use in it’s pure form? Hi Mara! You’re right, some plants contain natural saponins, but that in no way means they are a substitute for lye. Think of it like this—when you make cookies, the recipe calls for white sugar (usually—go with me, here). You cannot just use anything else that has a bit of a sweet flavour instead, like a peach, and expect the recipe to still work, or taste nice. Just because they have a little bit of something in common does not mean one is an adequate swap for the other. You can boil soap nuts (and presumably soap wort) and get a sort of sudsy, relatively weak, thin liquid (sort of like bubbly tea), but that is not, and will never be true soap. 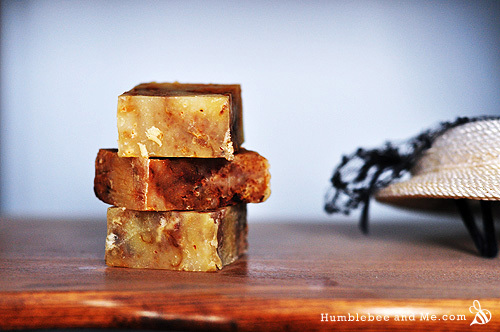 So, why don’t you want to use lye and make true soap? I Love your blog! Thank you so much for all these amazing posts! I do have a question regarding it though, does lye sanitize? If not, what can I put in soap I make to make a soap that really sanitizes (or as some say…um…anti bacteria?) I plan on making a project that will involve the use of transporting…waste, from a composting toilet, out of it, for use in a new heater which then acts as an alternative heat supplier (for example, instead of burning woods). While I will be careful, I want to know I have a soap at home with **Really good*** anti bacteria properties in it, (just to be extra safe), but without so much alcohol (and other yucky stuff) in what stores are selling. Is there a really affective natural product to add to soap to make it very anti bacteria? Thank you very much for everything, I love discovering your site! Yes, lye does sanitize, but that’s kind of a moot point here. There is NO lye in a finished bar of soap that has been made properly. You would not want to sanitize anything on your person with lye any more than you’d want to do that with bleach (OW!). There are two kinds of cleaning: physical and chemical. Physical cleaning is like alcohol, which physically destroys bacteria. This is basically fool proof as the bacteria cannot become resistant to being physically destroyed, and it’s also very safe. Chemical is like triclosan, which bacteria can develop resistance to (think being poisoned vs being stabbed), and it’s also a rather scary chemical for you as a living being. Soap does a good job of physically cleaning by carrying away bacteria with water. It is really very effective if you wash thoroughly with it. If that’s not enough for you, an alcohol powered hand sanitizer is the most sure-fire way to kill lots of bacteria without exposing yourself to hazardous chemicals and contributing to resistant bacteria strains. Never mind! 😉 I’ve just confirmed my subscription! Thank you! Marie, thank you for this terrific article! I’ve made a handful of soap batch so far, and I’ve always been so nervous with the lye. You’ve calmed my nerves a great deal. Thank you! I am so glad you created this! A friend of mine suggested I make soap without lye and i tried to tell him that other people who make soap “without” lye are just using “already made soap” and are turning it into something else AND it has the god awful lye in it. i am so glad i learned something today. Greetings from Ghana, Sister Marie, Great content about how to use lye safely, But I think that your little is incorrect. Do you know that African black soap is made without using lye, but rather burnt cocoa pod, which is not harmful to the skin, I do believe there are other soap that are made without using lye because our ancestors has been making soap before lye was discovered. Hi Asaah! Burnt plant matter (ashes, roasted cocoa pods, etc.) provide us with potassium carbonate, another strong base that functions as lye. It’s not quite as strong as NaOH or KOH, and doesn’t provide the consistent results that the hydroxides do, but it is still technically a form of lye 🙂 You can read more here. So interesting article about the home made soap! I should admit that I have never tried to make my own soap but I should because I have some allergies to some of the ingredients of the common soaps. Thanks a lot for the article! I made soap using just vegetable glycerian. No lye involved. Its made by hydrolysis (PRESSURE, WATER AND BREAKING OF MOLECULES) . All from palm, coconut, or whatever oil. So, u can make soap using organic, oil. Thank you for the wonderful article I will pass it along to people who are convinced that soap can be made without lye. It is really frustrating as a soap crafter when people insist, even though you are explaining, that it is not possible and at some point someone has used lye. Also, it’s really misleading when people go to some of this so called organic stores that sell wonderful soaps however they are telling the costumer that it’s lye free. I don’t know if it’s because the crafters are telling them or themselves are selling them as lye free soap to increase sales to costumers that are over conscious about using chemicals. Thanks, Dawn! I certainly understand your frustration :/ Perusing labels at farmers markets often frustrates me. It might be African Black Soap. That is a soap that is made without lye. Literally no lye ever in the process. But it is extremely rare to find in the States and I’ve never found it home made here. Not that it probably isn’t home made here somewhere but it’s more common in Ghana and Nigeria where it originated. And it literally is made with no lye at any point in the process. Try online—I’ve found quite a lot of it on eBay, and Saffire Blue has it sometimes. Thanks for your article. I live in an equatorial country where lye is strictly controlled, so I cannot make soap here. So the last time I visited my family in the States, I made sure to make it — it was my first time. Because I only had a couple of weeks, I made hot-process soap in a crockpot so the curing time would be greatly reduced. I used lye, water, coconut oil, olive oil, grape seed oil, and lavender EO. On our return trip, I brought the soap back to my hot and humid home here on the equator. Now — 4 or 5 months later — the soap is turning a yellow color and seeping liquid/oil from it. Do you have any idea why this might be happening? Is it possible that the soap could be rancid? I remember using just a little bit more coconut oil than it called for just to make sure the lye-water fully reacted. Could this be why? Hmm. What was your superfat percentage? I’ve never had this happen with any of my soaps—even the ones I took to Costa Rica, though that was only for a month. Did everything seem fine before you headed home? Did they pass the zap test? While they were curing in the States, the color looked ok; they were sort of ivory/off-white. I do notice that there are thicker “chunks” of something in the soap. It’s been several months ago that I made the soap now so my memory of the details is fading, but maybe the chunks are due to the soap at the outer edges of the crockpot cooking/curing faster than the middle, and then — if I remember correctly — I stirred it up at the appropriate time. I cannot remember the percentage of fat. Sorry, I cannot remember what the zap test is. TIA. The “zap” test is when you touch your tongue to the soap to see if you get “zapped” to test for excess lye. Does anything here look familiar? This is a really interesting article! Although, I wanted to mention people *can* make soap without lye. African black soap is made when oil and plantain or cocoa pod ash saponify. It is harder to do than making lye soap, but it can be done. So, I just wanted to make the correction – you can make soap without specifically using lye. It is not any better soap and there’s nothing wrong with lye soap, I just wanted to point out it can be done. Burnt plant matter (ashes, roasted cocoa pods, etc.) provide us with potassium carbonate, another strong base (alkali) that functions as lye. It’s not quite as strong as NaOH or KOH, and doesn’t provide the consistent results that the hydroxides do, but it is still technically a form of lye 🙂 You can read more here. So a lye equivalent is clearly being used to make African Black Soap, just as Marie has explained. And thanks, Marie, for an absolutely fascinating article. I read the whole thing, and all the comments too. Very well written and educational. I have been using only old fashioned, few ingredient, traditional lye soap for years (either the all lard variety or African Black Soap), but I might now finally be ready to start making my own soap from scratch. Exciting! If by ‘lye’ you mean sodium hydroxide or potassium hydroxide then no, it isn’t required for saponification. If you mean a base, then yes. Generally one does not use ‘lye’ to refer to any base. “Lye” can be taken to mean “a strong alkali solution”: we’re talking strong alkalais/bases. Predominantly NaOH or KOH these days, but there are other bases (like potassium carbonate, historically derived from ashes) that do work, though not as well. hola estuve buscando sobre este tema porque mi nana me habia contado que ella cuando vivia en el campo preparaban su propio jabon con grasa y algo de ceniza y otros ingredientes que pues no recuerda por la edad, por eso sigo buscando la manera mas natural de preparar jabon, si saben al respecto me encaria que lo comenten! This is a very good article about soap making, however, my wife and I NEVER use cake soap, having used only liquid soap for more than three decades. Firstly, liquid soap saves water: you don’t need to wet it to get it activated. You simply squeeze some into dirty (even greasy) hands, rub it into the dirt until it lifts, rinse off in about a cupful of clean water, then rinse again under a very thin stream of running water. All in all, I use less than 500ml (1 pint) of water to wash extremely dirty hands … I’ve actually measured it. Did you know that cake soap can block drains? When it cools down in the pipes, it coagulates and builds up to form and almost impermeable barrier. I’ve seen plumbers have to be called in (often at great expense) to clean out soap-blocked drains. The liquid soaps we use are first tested on weeds in the garden. If they don’t suffer any ill effects, out goes the bath water into the garden, another saving of precious water. I admire your dedication to saving water 🙂 Functionally, bar soap and liquid soap are almost identical; the only core differences are the base used (sodium hydroxide vs. potassium hydroxide), and the fact that liquid soap is diluted before use, while bar soap is diluted at the moment of use. I’m certain one could wash up with just as little water with bar soap if desired; liquid soap simply already has the water added, but that amount need not be very different from what one uses with bar soap. I’d also say that if your bar soap is blocking drains, it is poorly formulated and/or being used to excess. Any typical use amount of bar soap will self-emulsify with water, just like liquid soap, and wash straight down the drain. If one is using a very soft bar of soap, though, it can be easy to get a big glob and use far more than can easily dissolve, and I can definitely see that clogging drains eventually—but the same could really be said of sending big globs of anything down a drain! I’m looking to start making soap and am doing some research and your article has been very helpful. I want the ingredients in my soap to be as environmentally friendly as possible and I’m struggling to find information regarding the modern methods of creating sodium hydroxide and the effects those methods have on the environment. Are you able to shed any light on this? I’ve been making lye soap for years and I’m going to have to disagree with how nonchalant you seem to be about how caustic lye is. My arms are covered in scars from contact with not-yet-saponified lye mixtures, and moisture such as water is what activates lye. Only pure vinegar will neutralize it and I really think that telling your readers to run water over a body part that has come in contact with lye is highly irresponsible. I’ve been making soap for years, too, and I am not covered in scars. I’m also not sure how you are interpreting “treat lye like bleach” as being nonchalant. How are you working with bleach? Additionally, there is nothing special whatsoever about vinegar when it comes to neutralizing lye. It’s acid, lye is basic. Anything acidic will have a similar effect. Addition to VINEGAR SHOULD NEVER BE USED TO NEUTRALIZE A LYE BURN! This will happen very fast, and produce a lot of heat, which will cause burns. So the best way is to rinse as much of it off quickly with water and then neutralize the tiny bit that’s left with vinegar.” (thank you Trisha Magistro for letting us reprint your chemical reaction equation here). So, using Water (H2O) is what is recommended for cleaning up lye spills. Vinegar is not recommended on the MSDS.” (from the third link in the above list). Short story: using vinegar on lye makes the burn worse because it creates an exothermic reaction because you are combining an acid and a base. You’re basically creating a small turbo-charged baking soda/vinegar volcano on your skin. It’s irresponsible to advise people to do so, so I don’t. As I’ve been reading through your soap articles, nearly every link that is supposed to arrive at this page (Why There is no Such Thing as How to Make Soap Without Lye) results in a “page not found” or “results not found.” I don’t know if it was something temporary or not, but thought you should know about it.